When students are engaged in work for real-world audiences they learn on a deeper, more connected level. From designing educational games for Severn Lower School students to creating arboretum signs for our newly planted native species in the Stine Outdoor Education Center, our teachers are pairing up with Director of Innovative Entrepreneurial Programs and the Graw Innovation Center, Ms. Kelly Wilson, to create real-world projects that serve a meaningful purpose for our students and for our community. So how do you create authentic experiences in the classroom? First identify a need, then formulate an action plan to address that need. Middle School science teacher Ms. Carrie Ball developed an entire class based around this idea and worked closely with Ms. Wilson to develop Introduction to Design Thinking for Severn 6th graders as part of our Transition to Teel curriculum. The goal of this class is to create engaging, developmentally appropriate games for our prekindergarten and kindergarten students. Before beginning to plan or design, students in the class research the educational needs of elementary aged students and conduct surveys with teachers to find out what types of skills their games should address. Working in teams, 6th graders work with Ms. Ball and Ms. Wilson through the entire Engineer By Design process using Tinkercad, the 3D printer and the laser cutting system to bring their digital designs to life before sharing them with our littlest learners. Ms. Wilson helps students troubleshoot design problems using Tinkercad 3D design software. Knowing that their product will be used by young children in our community gives our 6th graders a greater sense of purpose as they learn tech, design and teamwork skills. Caitlyn Given ‘23 offers instruction as Bryn Farrell ‘30, Jamison Jones ‘30 and Izzy Caballero ‘30 play her group’s game. Authentic problem solving takes place outside the classroom as well. To enhance the educational impact of our Stine Outdoor Education center, Middle School science teacher Mr. Jim Maloney put out a call to all middle schoolers for help making arboretum style signs to mark the growing trees and plants. This is in perfect timing with our yearlong project with Campion Hruby Landscape Architects and a grant from the Chesapeake Bay Trust to restore native species in our outdoor spaces and the property along the Severn River. 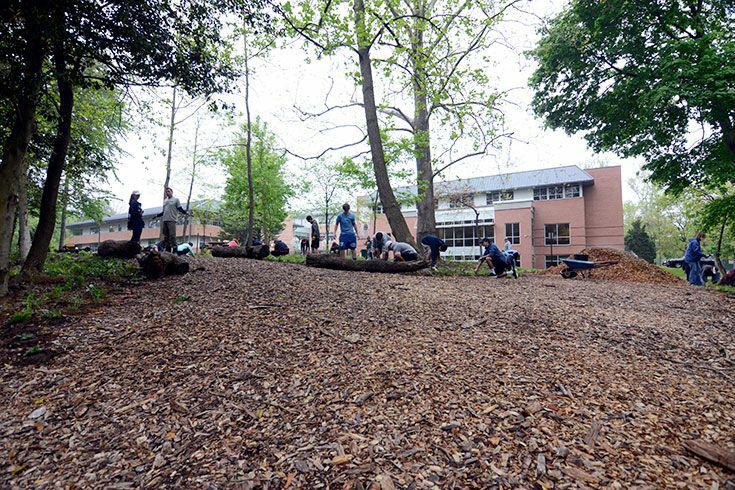 On Earth Day 2017 Severn students and families along with Campion Hruby Landscape Architects worked to reforest the area behind our school. 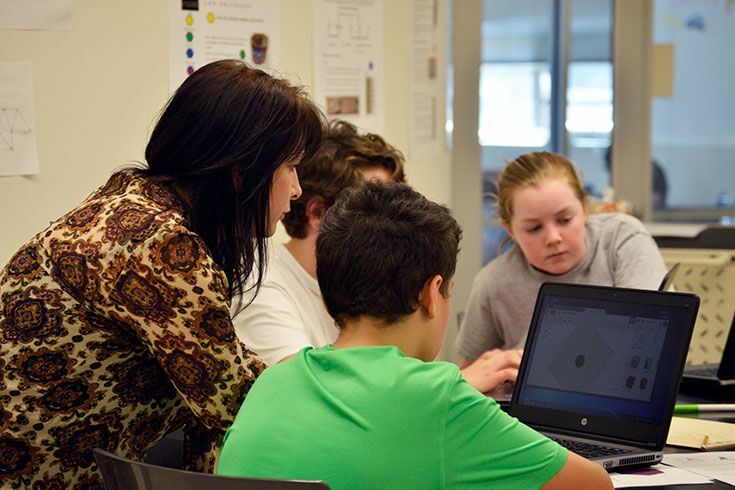 Ms. Wilson helps Fionn, Alan and Charlie refine their designs in Tinkercad for 3D printing. Ms. Wilson helps Alan set up the 3D printer to print and test their prototype. These are just a few examples of how innovation and authentic problem solving are becoming part of the fabric of how we learn at Severn School. The mission of the Graw Innovation Center is to challenge the limitations of traditional education, to allow students to bring their passions forward in an inspiring and supportive environment; to foster resilience. 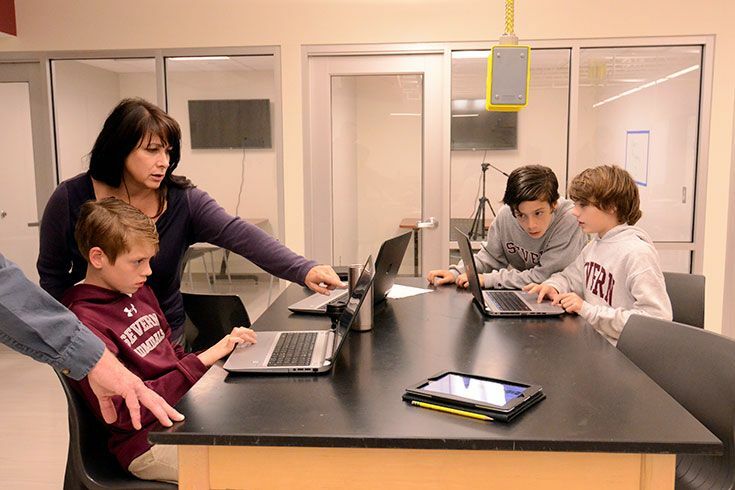 Since its opening in the fall of 2015, Ms. Wilson has been helping teachers and students expand the possibilities of authentic learning in and out of the classroom. Her goal is to provide our community with the tools and skills they need to take their lessons outside the box and into the real world. Severn Middle and Upper School teachers collaborate with Ms. Wilson in the GIC for these types of experiences and more. 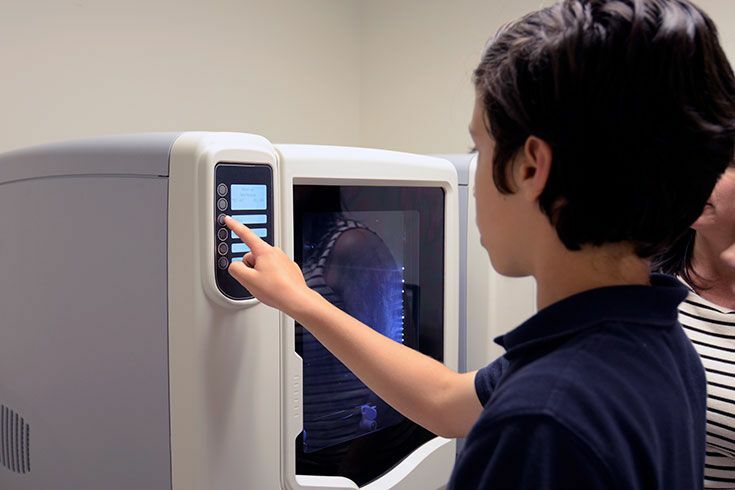 From building 3D printed skyscrapers and models of the 1893 Chicago World's Fair, to creating visual representations of sustainability practices with the laser system and wood, every new project offers an opportunity to learn a new tech skill along with curricular subject material. Learn more about current projects going on now in the GIC. 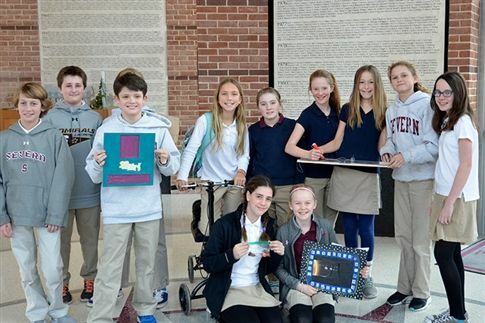 Our third quarter Design Thinking Class is ready to take their games to the Lower School.